I want to say this was a lovely read but it annoyed me. 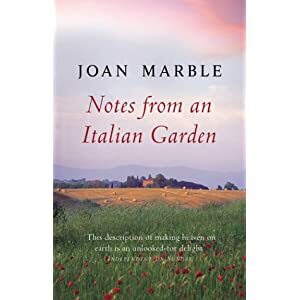 The details and accompanying stories of Joan Marbles gardening adventures in Italy were really enjoyable and interesting. What I found grating was the frequent comments about 'the Italians' which included ranged from high praise to faintly disparaging gardening condemnation. Also, the couple at the centre of this adventure appear to have lots of money with which they created vast gardens at their holiday home. Man, the struggles they must have gone through.